Officially “Sancta Maria de Petra Fertili” or “Saint Mary of the Fertile Rock”. 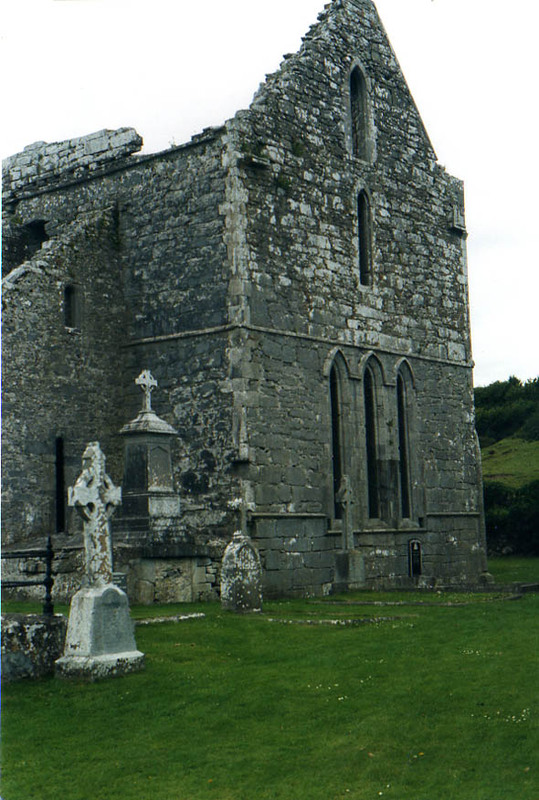 Corcomroe Abbey is sited a few miles from Ballyvaughan within sight of the coast. The abbey is sited in a valley and was founded between 1182 and 1195. Most of the buildings have vanished with the exception of the church and various surrounding walls. The church is cruciform with chapels in each transept. The stonework is of high quality with decorative capitals of foliage and human heads. The choir remains roofed, covered with fine vaulted stonework and a excellent carved niche (above). The nave has a southern aisle while no trace is visible of a northern aisle, indeed it is not certain if one was built. The wall screen across the nave is a 15th century addition. The above photograph shows the fine lancet window of the east end of the church in the choir area. In the last century, the church was used as a graveyard, and some of the graves can be seen above. 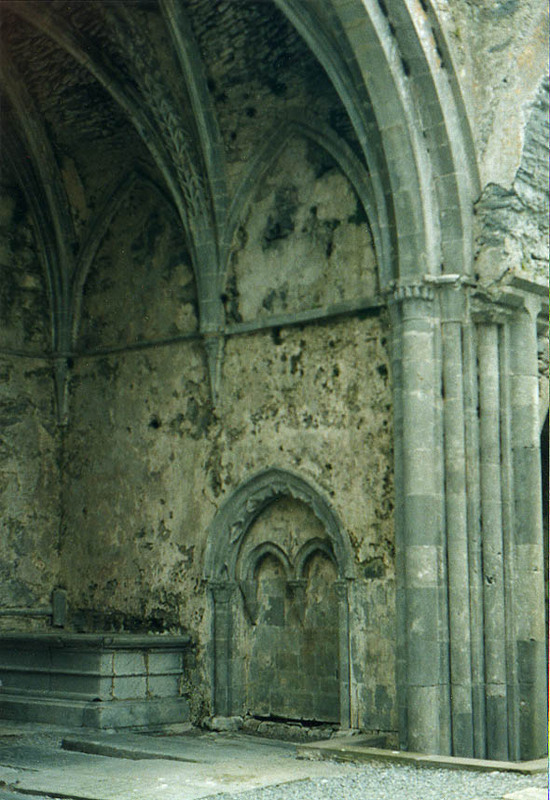 After the dissolution of the monasteries, the abbey was passed to the Earl of Thomond and then onto other landowners. It does seem likely that monks still lived in the area as in 1628 a monk in Salamanca was appointed Abbot. Obviously its very remoteness allowed the monks to continue to worship in the area.